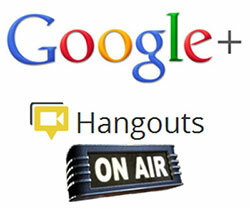 The Tech Hangout is a a new way of getting tech news & reviews. Which gives you a glimpse of whats going on in the tech world. The Google+ Hangouts ™ feature makes it easy for us to come together and talk live via video and voice, share roundtable discussions with viewers thru the hangout. Once a days hangout has completed we add the resulting video to our site via our YouTube channel. is able to provide on air tech reviews and invite tech personalities for interviews and general talk about the state of tech via our TechHangout 2.0 video podcast. Whether its related to Mac or PC, Phones, cameras, musical instruments, Gaming gear, Movies, Cars and more. We meet every Tuesday at 5pm eastern. You can watch us live via our live YouTube channel, join us for discussion or catch up with the weeks show by visiting our site. However tech affects you whether its Mac or PC, Phones, games, gaming Consoles, tablets, internet gadgets cameras musical gear, we are sure to cover it at some point. The Tech Hangout, tech made real by real people. In 2015, we also introduced an editorial arm with news, reviews, and editorials. This allows our collaborators to go more in depth on issues than we can on a 1hr (ish) Podcast. Patrice is our co-host and executive editor. He’s been with us since the various Friday replacement show and is one of those responsible for getting Ben to reluctantly turn The Tech Hangout into a thing. Patrice is a programmer by day and cook by night. You can find him at his website Brendamour.net, @Casual_Kitchen on Twitter, and via his mostly German language cooking show Casual Kitchen.